When deciding a style for your kitchen countertops, it’s typical to go with what you know. Your grandparents probably had laminate counters, your neighbors may be raving about their elegant granite countertops, and you might even know a gourmet chef or two who swears by carrara marble. However, if it’s finally time for your own kitchen remodel, you also need to consider the material that’s taking the nation by storm: engineered quartz. 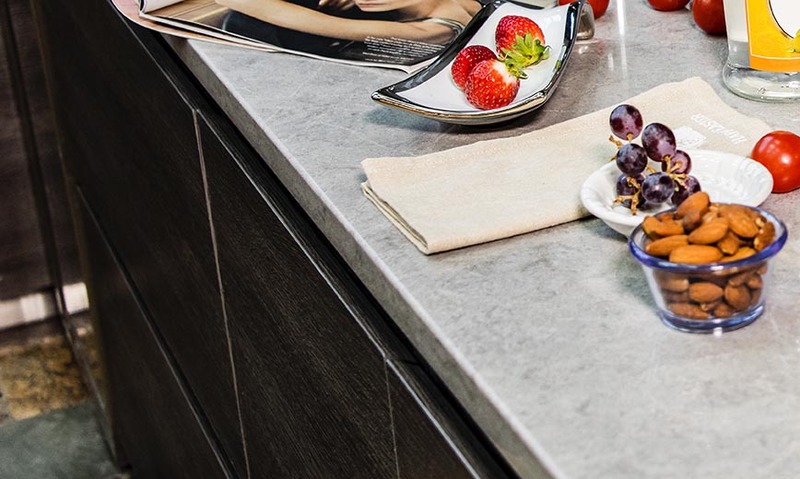 Arguably the best quality of quartz countertops lies in their versatile style options. The quartz colors manufactured today can have the appearance of natural carrara marble without its delicate nature, or can contain vibrant colors that are difficult to find in a natural granite material. The sky’s the limit when it comes to finding quartz to match your unique style. Quartz countertops certainly give your home an elegant touch. Not only are these materials durable and perfect for a high-traffic area such as the kitchen, they also don’t require frequent sealing to keep their shine as granite does, and they are harder to chip. If you’re looking for a luxurious style that will truly be a return on your investment, quartz countertops are quality well worth the cost. If you ever get the chance to run your hand over the top of granite countertops, you’ll easily tell where there are natural imperfections in the material. For those who find these imperfections unpleasant, quartz countertops are a great option. The non-porous nature of quartz makes it stain-resistant and much likelier to stand up to any future white glove inspection. With a wide range of variety, your quartz countertops can truly lift the elegance of your home, and quartz samples that are more true to the final product can also make it easier for you to match your tops with floor tile, backsplash, and cabinets. If you’re interested in taking your kitchen to a higher level, contact us today at 972.487.7987! Call Moreno Granite & Marble, LLC for a countertop estimate.